If you break into a sweat each time you have to face another energy bill, adding insulation to your home could reduce the amount of heating and cooling appliances you need to use. Insulation is one of the least expensive things a homeowner can do to make their home more energy-efficient. Insulation is practical for all different types of climates and will help your home stay warmer in the freezing winter, and cooler during those hot summer months. In addition to becoming more energy-efficient, having a home that is insulated will reduce condensation build up. Over a short period insulation will pay for itself, and is worth the effort of upgrading because you will be saving on your energy bill. 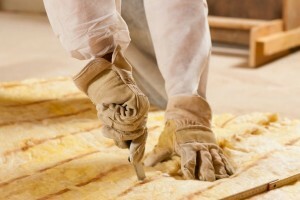 However, before you make an appointment to have your house insulated, there are a few steps that should be considered. To determine whether you should add insulation, you first need to find out how much insulation you already have in your home and where it is. Inspect and measure the thickness of any insulation in unfinished basement ceilings and walls, or above crawlspaces. If your house is relatively new, it may have insulation outside the basement or foundation walls. If so, the insulation in these spaces won’t be visible. Energy Saver tool to determine how much insulation you should add and where you should add it for maximum energy efficiency.